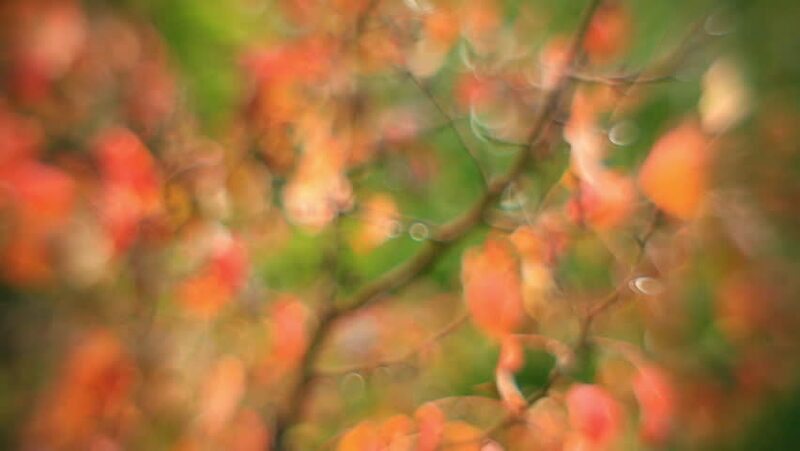 Amazing diagonal panorama of fairy tale defocused tree with orange leaves on unusual green background. Wonderful soft view of lyric nature in magic full HD clip. Adorable footage for excellent design. hd00:19Unbelievable vertical panorama of defocused tree with unusual soft autumn leaves. Wonderful abstract floral background in fairy tale style for dreamy mood. Adorable view of magic forest in full HD.